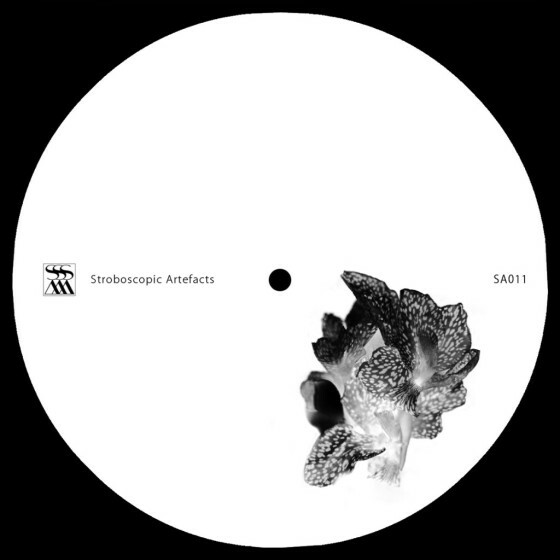 'Cutlass' is the 12" that precedes 'Sword' Xhin's forthcoming full-length album on Stroboscopic Artefacts. Four tracks from the album have been selected and spliced into completely new forms by four producers with very separate agendas. The minds, computers and analogue tools of Surgeon, Dadub, Pfirter and Perc have extracted new visions from Xhin's 'Sword' with nothing short of scientific precision. A cutlass just like a sword but with a slightly curved blade, and accordingly the way that Surgeon, Dadub, Pfirter and Perc cut into these tracks is experimental and left of the centre. The four producers' remixes uncover latent facets of 'Sword', adding not just anticipation to the release of Xhin's album, but also widening the scope of Stroboscopic Artefacts' soundscape. Frequencies Mag Absolutely futuristic music. Fact Magazine Amazing stuff. Hard to even pick a highlight. Hifly Wow! This is a very strong package indeed. From the upbeat brutality of Surgeon to the triolized clonks evident on Perc's remix. Different Grooves Monster ep. Can't wait to play each track in my sets. SlashDotDash Great warmup to the forthcoming album. The Surgeon remix is ferocious. Ear To Ground Excellent! One of my favourite SA releases so far. State of the art Techno. Cutting Edge Addicted to Xhin. Badly. TMI Radio Ara Stroboscopic artefacts releases are simply inimitable! I'm really looking forward to hear the forthcoming full-length album!